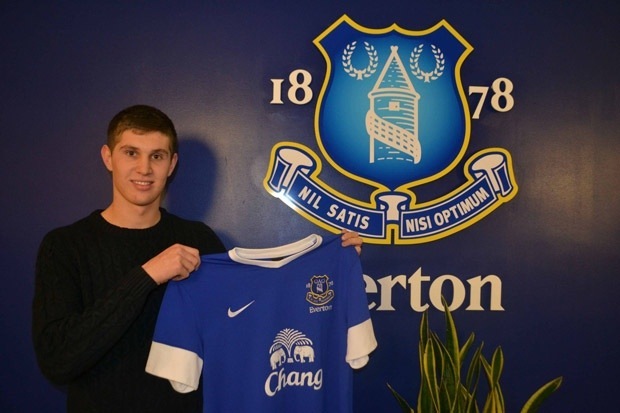 Transfer deadline day didn’t quite turn out as Evertonians had wished, but one promising piece of business that was completed was the signing of up and coming right full back John Stones. The England u19 international has made an impact at Barnsley this season and was much sought after going into the transfer window. The Daily Mail have published a behind the scenes exclusive as Stones’ agents talk through the twists and turns and difficult conversations that finally resulted in Stones signing for Everton. I met up with Georgina Lillis, who has represented John for many years now, at Wigan and by about 11am we were there talking to the chief executive Jonathan Jackson and manager Roberto Martinez. It took us three to four hours to get close to where we wanted to be in regards to the contract. Roberto made sure that we knew how much he wanted the player and made a huge effort to come to an agreement while sticking within the structure of the club. John has great respect for Roberto and was very impressed with everything at the club and the effort that was made. The end of negotiations was near and it looked like Wigan was the place to be. However, at around 4pm we got a call from Barnsley asking if we wanted to speak to Everton as a bid had also been made. We had to take the opportunity to speak to them as it’s our job to make sure the client has all possible options given to him. We went in to speak to Roberto face to face and explained the situation. It’s never an easy thing to do, especially when you have been with them all day, to then say that you are going up the motorway to speak to another club. Roberto is a good man though. He always handles himself well. He was a true gentleman and understood. Alternatively it would be easy to just say ‘we are off to dinner’ and not tell them but we try to do things the right way.